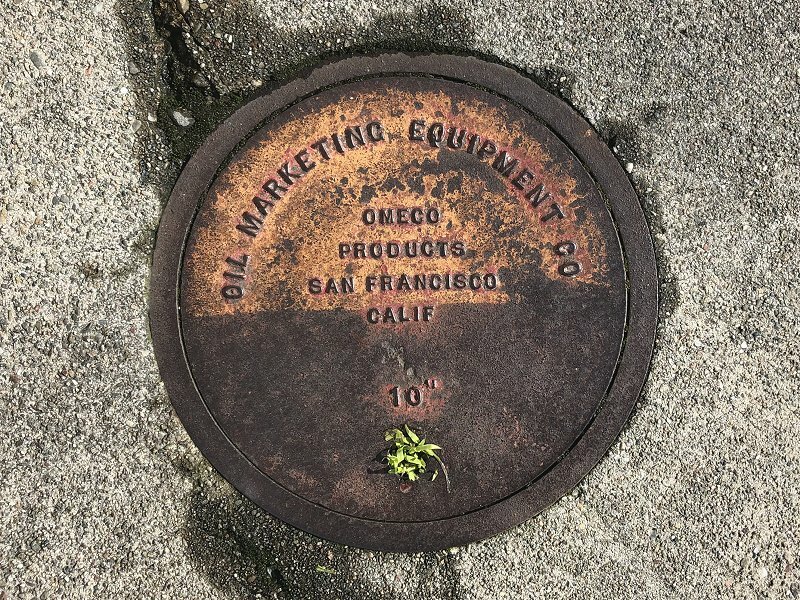 The Oil Marketing Equipment Company was at 325 Fremont Street, San Francisco. It was run by an Atherton resident named Frank D. Mahoney. You could phone him at GArfield 1-5328. The 1948 San Francisco directory lists it as “Manufacturers and Distributors of Specialized Equipment for the Oil Industry.” Its factory was at Dollar and Linden Streets in South San Francisco, on the railroad tracks. As of 1960, its factory was in Redwood City at 3524 Haven Avenue. It was listed in the San Francisco directory until 1962. All of those addresses are occupied by newer buildings today. This entry was posted on 6 April 2019 at 8:04 am and is filed under Streetscape. You can follow any responses to this entry through the RSS 2.0 feed. You can skip to the end and leave a response. Pinging is currently not allowed.